Where relevant, Itineries are planned in accordance with your requirements. 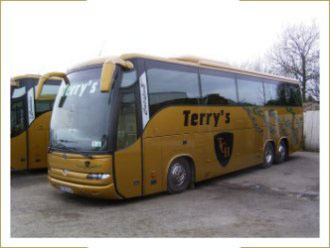 Hotel bookings, ferry reservations etc are handled for your group and you are most welcome to visit our office to discuss your booking and choose the coach type most suitable for your journey. With the advantage of us operating our own coaches combined with our wealth of experience in operating international coach travel we believe our bespoke tour planning service to be second to none.